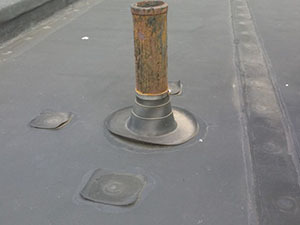 Ethylene propylene diene monomer, commonly known as EPDM or rubber roofing, is frequently chosen as a coating for commercial roofs due to its durability and all-weather properties. Like any roof type, however, an EPDM roof will eventually develop problems that necessitate expert rubber roof repair services. If your building is located in the York, PA, area, give Capital Coating a call today at (717) 442-0979. 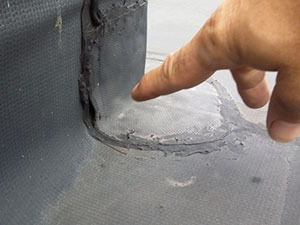 We have the expertise, quality tools and products to repair your rubber roof and do the job right! We’ve been serving customers for more than 20 years and would love the opportunity to show you the Capital Coating difference firsthand. Whether your commercial roof is aging faster than it should or has suffered substantial damage that is impairing its performance, the team of experts at Capital Coating is here to help! For many roofing companies, profit trumps quality and customer service. At Capital Coating, the opposite is true. We genuinely care about our customers and their needs, and we strive to offer them the very best solutions to fit their budgets along with the highest-quality workmanship possible. For more than 20 years, we have been bringing topnotch roofing services to our valued patrons, restoring their commercial roofs to exceptional working order and also providing them with sound, expertly engineered new roofs. Whatever your roofing needs may be, the professionally trained technicians at Capital Coating are here to meet them. When you are in need of rubber roof repair or other expert commercial roofing services, the team at Capital Coating is here for you! Give us a call today, (717) 442-0979, to receive the attentive service and quality workmanship you need and deserve.